2016 is going to be another year of adventures on my travel blog – I’m currently finalising some of the bigger plans but I’m already stoked for what 2016 has on the horizon for me and I hope you’re all looking forward to following along – this blog is for you guys after all! But I’m only one dude and there’s only so much of the world I can blog about on my own (admittedly Erin is going to be doing some more posts this year too for you ladies!) so I thought I’d send you in the direction of heaps more travel inspiration. 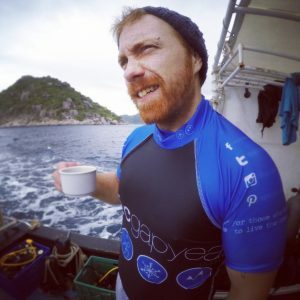 Travel blogs I’m personally addicted to, travel bloggers who I’ve met and are awesome people and some old favourites who are still on the road with some amazing adventures ahead! Given the fact that Jules is an Aussie who surfs and his lovely lady Christine is from San Francisco, they love The Philippines and both are veggies pretty much means I was going to love their blog by default given that its almost a mirror of me and Erin…except I’m not Aussie! I also had the pleasure of meeting them both at TBEX Asia last year and they’re heaps nice and great to hang out with. 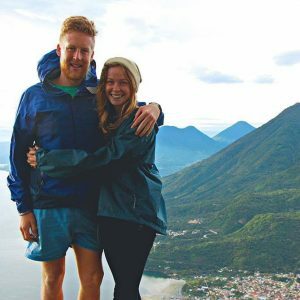 Their blog is filled with amazing travel tales and they have a huge focus on responsible tourism so there’s some great karma points to clock up following their advice! 2016 is going to be full of awesome adventures for them too and from what they’ve told me it’s definitely one to watch! They take some stunning photos too so go check them out on Instagram! Jeremy is another blogger I met for the first time at TBEX and he’s an awesome dude. 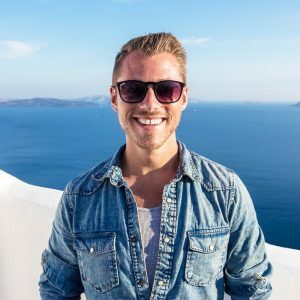 He’s been in the blogging game for a solid amount of time too (he started travelling 5 years ago!) so his site has a whole range of posts so there’s sure to be something for every taste and style in there. Whether he’s naked bungee jumping (hilariously censored!) or sharing how he travels with just carry on luggage there’s plenty of reading to keep you busy. Well I’m not going to create top blogging list without including my favourite blogging buddy and bromance Stephen from A Backpackers Tale in it am I?! He’s currently bouncing around Europe for a bit longer before heading back to South East Asia for a couple months. His big trip of the year though is heading to New Zealand to get cracking on his working holiday visa and explore more of what the land of the long white cloud has to offer. 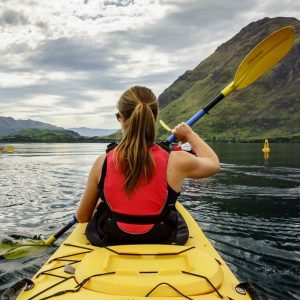 So if New Zealand is part of your travel plans (and it should be!) he’s definitely one to check out this year! 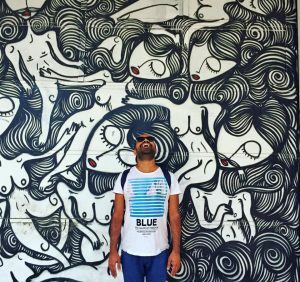 I featured Kash in my 2014 top travel blogs to follow list and his newly revamped site deserves another place for 2016 too! He’s an expert in Euro travel and accommodation reviews as well so if that’s where you’re heading then check out his blog. His budget accommodation tips are some of the best out there too – so make sure you give it a read before you head to a new destination and hopefully you’ll find an epic place to crash without the pricetag. And then of course there’s the foodie side of his site which also leaves me pretty peckish! Oh Lauren! I think she’s made this list most years I’ve put it together and for good reasons – she’s a walking disaster! Overtime she pops up on my Facebook feed she’s got herself into even more chaos – most recently she was heading to the airport and realised she hadn’t actually booked her flight! I bumped into her and long suffering boyfriend Dave in Cambodia last year enjoying some much needed down time after launching her book (entitled “How NOT To Travel The World”) and although 2016 is a slower pace of travel for them both I’m pretty sure she’ll find a way to bring her brand of calamity into it! I’ve only just recently discovered this blog (actually it was after they commented on one of my posts!) but Jess and Julies travel blog made me loose a few hours of work time whilst I was skimming through some of their advice and stories! 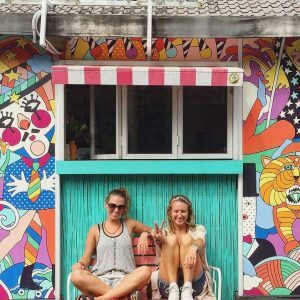 Whether it’s sharing some packing tips, snorkelling with sharks or doing yoga in Bali these girls seem a pretty fun one to keep an eye on for 2016 and they’re heading to Thailand in a few weeks which I know a lot of you love to read about! I first met Paul when I was on a press trip to The Philippines last year and he’s a super nice chap – I’m pretty sure all the other bloggers on the trip will tell you that we had a bit of a bromance whilst island hopping! 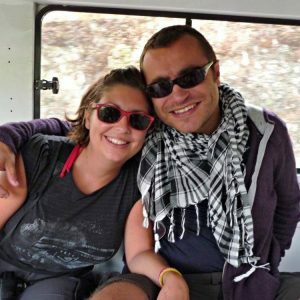 He and his wife Karen have an epic blog focusing on “responsible, local, authentic travel” and much like Don’t Forget To Move you’ll have some serious travel karma points following in their footsteps! They do a lot of posting about volunteering projects too so if that’s something you’re looking to fit into your next adventure check out that section of the site. 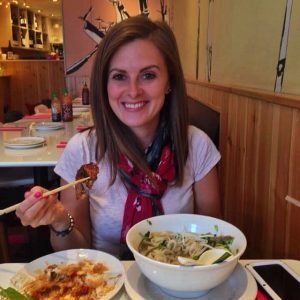 I ended up on Phoebes site whilst doing some research for my first trip to Vietnam and there’s heaps of awesome travel advice throughout her blog. For the ladies she has an awesome “What To Pack For…” series which is certainly going to prove useful and also some great vblogs too. Overall there’s a good mixture of everything you’d expect from an awesome travel site – stories, reviews and advice. 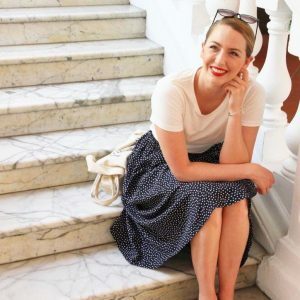 Liz is a pretty big name in the travel blogging world, but if you haven’t already heard of her make sure you add her to your reading list! 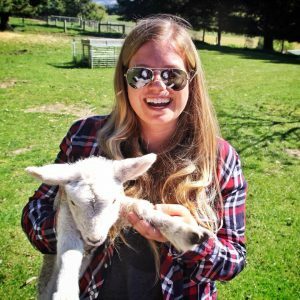 Although she’s mainly based in New Zealand (check out her Instagram feed for heaps of gorgeous shots from the Queenstown and Wanaka area) she bounces all over the globe sharing everything from what camera kit she uses to the random hate comments she receives on her blog (yeah that’s a thing!) her site and social media feeds are bound to inspire you to get out and explore some more. Charli has a site that’s absolutely ram packed full of incredible photography and adventures – everytime I end up on her site I just want to shut my laptop and jump on a plane! She’s also keen scuba diver so I’m always trawling through that part of her site for some new additions to my diving bucket list. If house sitting is something you’re looking into to help cut the costs down on your next trip she has a whole section of the site dedicated to it…and if it’s something you’ve not looked into check it out anyway and you might be inspired to give it a go. …An Added Bonus – Totally Sams World! She’s been bugging me for ages to add her to the list so I guess I’ll have to add in Sam from Totally Sams World! She’s a good buddy of mine and is currently based out of Byron Bay, which you all know I have a huge soft spot for! 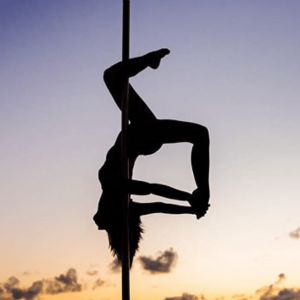 She’s covered heaps of Asia and has some awesome jet setting ahead of her in 2016 so if you like a bit more luxury travel she’s your girl…and did I mention she pole dances her way around the world? Not in a stripper kinda way, she’s more classy than that…most of the time! So there’s my top travel blogs for 2016 – add them to your feeds, like them on Facebook, follow them on social media and hopefully they’ll all fill you with wanderlust and ideas for your own adventures! …and of course make sure you follow Backpacker Banter on Facebook and Instagram (@backpackerbanter) too! BONUS; Looking for some extra blogs to follow? Check out my Top Travel Blogs To Follow In 2014 and Top Travel Blogs To Follow In 2015 posts! Any travel blogs you’d recommend I check out? Chuck some suggestions in the comments for us all! Great suggestions! I’ve definitely added a few of these names to my must follow list! Glad you found some new ones Kate! T Hanks for including me brother!! You’re my one and only. hahahahaha of course you’d make the list bro! Keep up the epic work! Let me know if I can help out at all Mike! Glad you discovered some new ones Shayne! I knew four of them. Travel FREAK definitely deserves to be on there. And Never Ending Footsteps is also another favourite. Stoked you managed to discover an extra 6 then :D Laren never fails to make me chuckle!haha! Great selection and just found a couple of new blogs to add to my feedly! Glad you found some new inspiration in there Bruno! I was searching for some travel blogs and found this post. Now I have 12 blogs to follow: 10 suggestions + 1 bonus + your blog. Thanks! No worries Ani, glad I could help out! I appreciate your efforts of publishing this list of travel blogs. I am sure that these travel blogs will provide the right solutions for all the ones who are looking for the tips and related information regarding travel. Let me share this blog with my friends so that they might be benefited from it. I am looking for some interesting new travel blogs to follow. Thanks for this list, i’ll keep reading yours and check out some of the above too. to inspire me in my travels I see many videos on the vimeo. Thanks for sharing this list Chris. There are some favourites of mine on here and also some new ones to add to my must follows! No worries Ahmed – hope you found some new sites to follow and good luck with the blogging! This is an old blog. But i really enjoyed it.